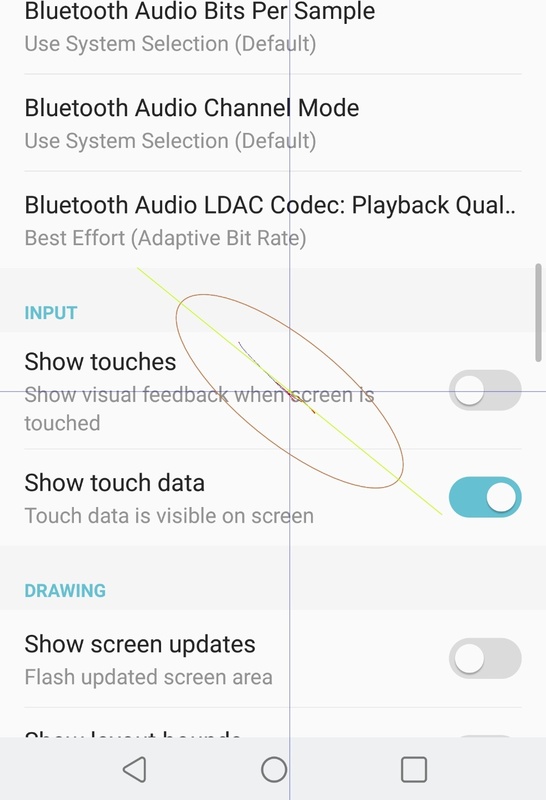 I want to implement Show touch data in Developer options. More specifically, I want to get shape of screen and fingers meet. Maybe shape looks like ellipse. Is there any way to get source code of Developer options? or how can I implement this function? Settings app is open source, developer options screen is part of it, you can see it at AOSP's repo. In particular, grep for SHOW_TOUCHES in frameworks/base. That might get you closer.